This hilarious, spooky story is from Mr. Stine’s latest series, Mostly Ghostly. It’s the story of Max Doyle, a 10-year-old boy whose ambition is to be the world’s greatest magician. His family moves into a house haunted by the former inhabitants, Nicky and Tara Roland, two ghosts the same age as Max who enjoy playing tricks themselves. 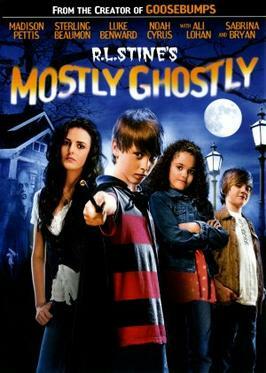 Since no one else can see the ghosts, Max’s life is turned upside down whenever the two apparitions appear. You’ll laugh till your sides hurt when Max performs his Christmas magic show at school, only to have his two new friends show up and ruin every trick he tries to perform. Max soon finds out that Nicky and Tara are being chased by an evil ghost named Phears and it’s up to Max to help the Rolands escape a ghostly fate!